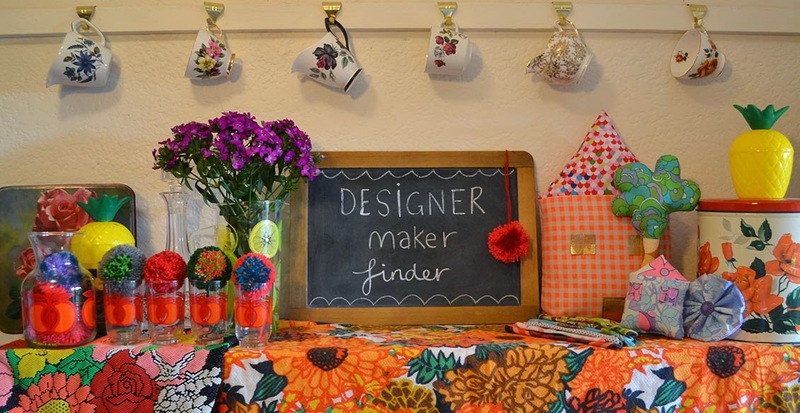 Designer ♥ Maker ♥ Finder: Tinsel Trading - Emporium Of Goodness. Tinsel Trading - Emporium Of Goodness. What a great book.... I carried it around wishing to go to every shop she writes about. This is one of her faves and I could see why as it was full of creative projects waiting to happen. At the back was my favourite bit, the cabinet of curiosities.... A treasure trove of the unknown... opening each drawer was a new surprise whether it be coke bottle lids from the 70's or old ticket stubs from the 50's it was a pleasure to look at. There were vintage spools [ which I bought a sparking pink thread from], there were pieces of wood, there were tins, there were boxes. There was SO much stuff. But it wasn't a mess, it was a beautiful showcase of colour, texture and product. Spoonflower - My HQ Visit.